In 1993 he bought his own studio and started producing Psychedelic Trance that resulted in 3 succesfull projects: Metal Spark(together with Lorenzo Zoeter and Lucas Mees)(Blue Room Released), Syrinx(solo)(Matsuri Recordings) and Hypercycle(with Frans Dordregter)(Auracle Recordings) With those projects he did live sets in Amsterdam(Escape 2 x, Silo, Mazzo, Paradiso a.o. )Frome(UK) and Paris. His tracks were also released on many big compilations like Renaissance, Pulse a.o. In 1998 a search for new musical inspiration started that resulted in a few remixes for Zuco 102 and a Ibiza style track called Sugar as PMW( together with Willem Heetebrij and Marusjka Sistermans) on the Fonky Fibe Records label owned by Rob Boskamp. In 2002 he started djing. He did some sets on National Radio 3FM for the legendary Giel Beelen. In 2008 he released a minimal EP for a small USA based label called Ktlxmey Recordings. On April the 30th 2013 he releaed an EP on a new Deep House label called MIDI8OR owned by Tim Nieuwenhuis(Midi Amsterdam) and Niels Motoko de Groot and the 17th of July 2013 he released his second EP on that label. 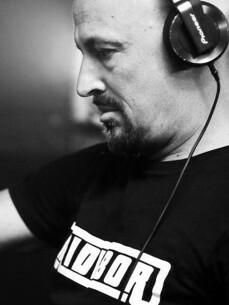 As a dj he did sets for the Insound Festival(Spain), The Bus(hosted by Debra Mitchell), Chicken Skin and Bish Bosh Bash (hosted by the legendary MC Marxman) Black Box at Studio 80 (hosted by the talented Milan Meyberg) and at VET! at Club NL (hosted by Tim Nieuwenhuis and Niels de Groot) he did his first liveset.